When it comes to OBD2 scanners, there are several different varieties. First, you can get a standard code reader that will do little more than just tell you what a check engine light means. 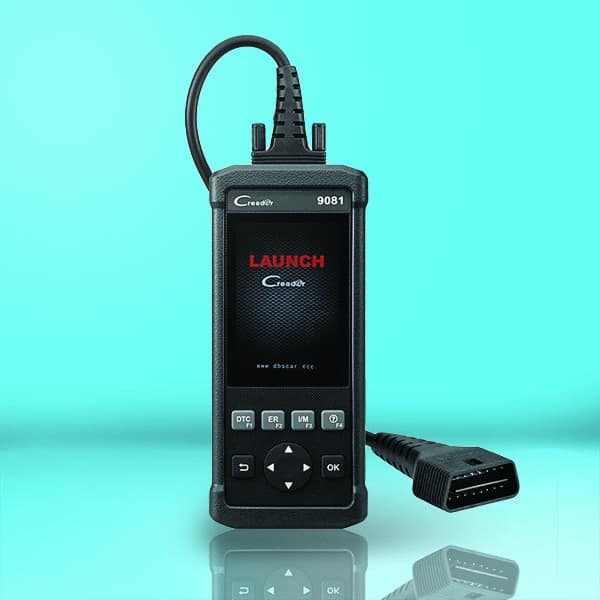 However, for those who want to be able to diagnose and fix their car, they’ll need a more comprehensive device like the CReader 9081 from Launch. Let’s see what this scanner has to offer. One of the best things about this tool is that it’s compact and easy to use. With a four-inch LCD screen, it’s easy to see what’s going on, whether you’re trying to find your vehicle’s make and model, or looking at the graphical interface. The 9081’s slim design makes it easy to handle, and you can keep it in your car’s glove compartment when not in use. It feels like a small smartphone, so it’s not too cumbersome or bulky, which we appreciate. The menu buttons are simplistic, making it easy to navigate through the various options. Overall, if you want a scanner that both looks and functions well, the CReader 9081 is an excellent choice. As with most OBD2 scanners, this device has a standard connection cable. You just plug it into your vehicle’s OBD2 port, and you’re ready to go right away. Compared to other scanners, the connection is reliable and fast. While we would prefer a wireless option, an analog connection can sometimes be better since you don’t have to worry about losing the signal. One added feature that we appreciate is the fact that you can get free lifetime software updates. This means that your scanner should be up-to-date for years to come, so don’t worry about it becoming obsolete when you buy a new car. What’s also nice about this scanner is that it displays this information in either a freeze frame or as a live stream. Thus, if you want to monitor your car’s performance, you can do so with this device. If you’re not familiar with ABS bleeding, that’s when you remove excess air from the brake lines. Typically, you do this if your brakes are not as responsive as you’d like. Without this device, you’d have to go to the mechanic to get this done, but now you can do it in the comfort of your garage. One thing to note about some of these features is that they only work with newer vehicles (usually post-2000). So, if you’re trying to monitor an older car, you’ll be limited to standard OBD2 diagnostics, which is just the check engine light and emissions tests. Overall, if you’re serious about diagnosing and repairing your vehicle, then you will appreciate the high level of functionality with this scanner. 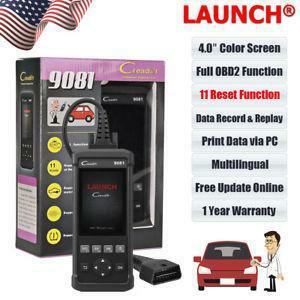 With an intuitive menu, tons of extra features, and a comprehensive scanning capability, the CReader 9081 is the perfect scanner for car enthusiasts. Save money and avoid going to the mechanic for simple fixes. Overall, this device will pay for itself in no time.